This study examines the economic argument concerning the investment of public funds in the education and care of young children across the economic spectrum. Using traditional economic analysis, it concludes that the developmental benefits to children in high quality early childhood education and child care programs and the benefits of employment to parents significantly exceed the costs. Thus, publicly-funded, high quality early childhood education and care would represent a prudent and productive use of scarce public funds. 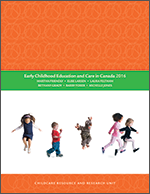 CHAPTER 1 What does economic theory tell us about the potential benefits of good child care?